Relational Leadership is the key to leading your followers to a common goal. Every leader must learn how to build relationships with others. If you desire to be a leader, you will need to develop the ability to inspire and work with people as you progress toward your vision. Relational Leadership will help you build the effective relationship with your employees and followers. 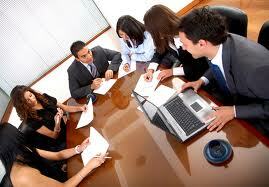 Every big vision or dreams cannot be achieved alone; you need the cooperation of people. As a leader building relational skill is necessary to inspire others to a common goal or achieve your dreams. Relational Leadership is a leader’s ability to organize people, skills, and resources together to achieve a common goal. 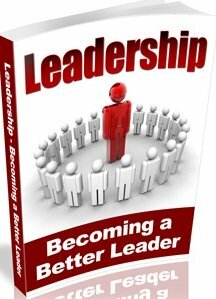 In other to become an effective leader and expand your business, organization and improve performance, these relational leadership principles are necessary. A good leader is someone in whom people can have confidence. People will gain confidence in you if you are committed to your purpose, faithful over little things and willing to sacrifice for your vision. Leaders will inevitably be criticized by some people. Yet they will just as surely inspire others, even if they are misunderstood or opposed at first. Leaders are friendly and openly invite people into their lives. They are not afraid to extend themselves to others because they are secure in themselves. They are easy to befriend because they are confident in their self-worth and can share themselves without fear. They have an understanding an open attitude that puts others at ease. True leaders care about people with an unconditional attitude, and they always seek the potential within them. They are able to speak the truth with love and sensitivity. Relationship Leadership is one who both keeps the peace and restores peace after it has been broken. An important function of leadership is reconciliation, the ability to discover common ground between opposing viewpoints and then to induce both parties to accept it. A good leader does not depend on the knowledge of this world alone; he is filled with God's word and he judges everything in the light of God's wisdom. The attitude of a true leader is cheerful, pleasant and optimistic. This attitude is contagious and acts like a magnetic field, drawing out the best in others. Relational leaders find their joy and pleasure in seeing others develop and release their own potential, and become leaders themselves. In every organization, business or company, there will be opportunities to fail and some people do fail. Leaders need to realize that everyone is capable of failing. Instead of making people feel degraded and useless, encourage them and say, "look, you didn't do it right, so let me show you how to do it. When people fail, a good leader doesn't treat them as failures. He corrects them and tries to help them learn from their mistakes so they can do better the next time. A relational leader is able to deal with his failures and with the failures of others. He looks as failures as lessons, and then move on. Our world is suffering from a lack of leadership, but you can help change this situation. You have within you the ability to become a change agent in your time. Don't wait for someone else to take responsibility for the future. Rise up from the seat of a follower and enter the school of leadership, for it is God's will that you become a leader and lead others to their full potential in him. Settle for nothing less than your best. Comment and Like This Page? I promise to use it only to send you Free eNewsletter. Copyright © 2014. All rights reserved by effectivemanagementleadership.com.